Tags – Allows grouping of similar posts, not hierarchical. It’s kind of label to each post. Each category or tag you create is a term in WordPress database. WordPress uses three database tables to store database information. They are wp_terms, wp_term_relationships, wp_term_taxonomy. wp_term_taxonomy – This table stores the taxonomy for which the term belongs. It also stores parent of the term if the taxonomy is hirarchial. wp_term_relationships – This table is a cross reference table for your content and terms. It stores post id of each content and its term id in this table. INNER JOIN wp_term_relationships wtr ON wtt. Here is how parameters are. $args – Optional values for custom taxonomy. In the above example custom taxonomy is registered using register_taxonomy function. The first parameter is name of the taxonomy which is ‘type’ . The second parameter is content type for which this taxonomy is attached, it is ‘products’ content type here. Third argument is optional values for taxonomy. The parameter hierarchical defines whether terms can be like a tree, label defines how taxonomy is identified, query_var allows taxonomy to be queried in URL, rewrite allows pretty permalink to be setup for custom taxonomy. After this you’ll see a admin menu for handling taxonomy ‘Types” just below the Products menu. Also you’ll see a metabox in ‘Products’ editing screen for adding categories in ‘Type’ taxonomy. public – It sets whether admin menu is available for custom taxonomy in dashboard and front page. show_tagcloud – Setting this true allows custom taxonomy to be available in tag cloud widget. hierarchical – Allows hierarchical URLs. sort – Whether this taxonomy should remember the order in which terms are added to content. parent_item – The label for parent item. It has no meaning if taxonomy is not hierarchical. separate_items_with_commas – Separates terms with commas in taxonomy meta box. No meaning if taxonomy is hierarchical. choose_from_most_used – The “choose from most used” text used in the taxonomy meta box. Not used on hierarchical taxonomies. not_found – The text displayed when you click “Choose from the most used tags” and no tags are available. Setting labels makes it easier while administrating custom taxonomy terms in the administrative menu. Following is a example of custom taxonomy registration with labels. Here first argument takes the name of the taxonomy and second argument takes number of terms to be displayed in the tag cloud. You can create a custom loop using WP_Query object to retrieve content attached to your custom taxonomy. The tax_query argument specifies which term and which taxonomy to use in retrieving posts for loop. This function needs to be in the loop in your theme template file to work properly. To get terms for the post you need to send the post id , custom taxonomy name and title to be displayed net to the terms. 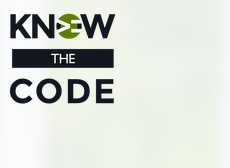 The above code will retrieve all the terms associated with the taxonomy ‘type’. Defining our own custom taxonomy is a powerful way of organizing website content. Using the above we can allow WordPress to handle complicated content to become a powerful Content Management System.